This Course has been viewed 3583 times. 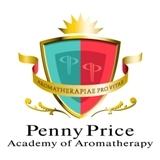 A course to explore the many and varied uses of carrier oils in therapy. Since these oils are used in greater proportions in an aromatherapy treatment than essential oils it is important to understand their properties and benefits. Discover how to really value the healing effects of carrier oils and how to use them for subtle yet efficient healing effects on clients, both externally and internally.